Previous / Video: Who is winning the team-mate war? 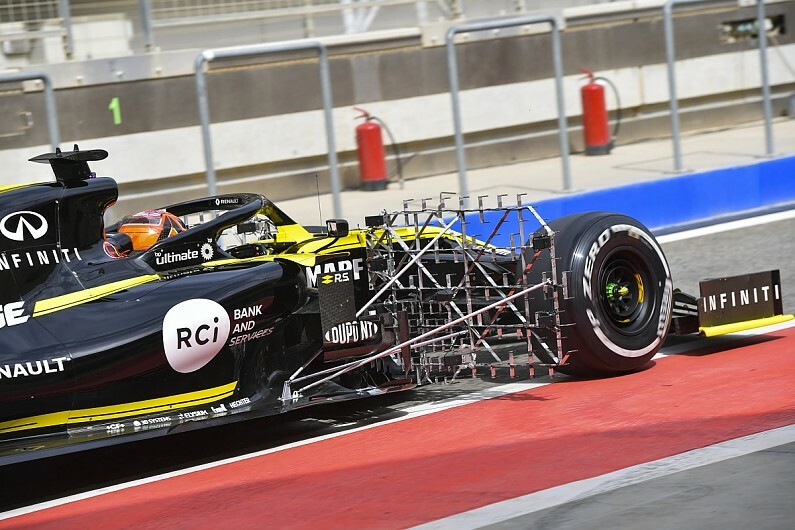 Four-time Formula 1 world champion and Renault special advisor Alain Prost believes grand prix racing needs to focus "a little bit less on technology" and seek more "ingenuity". F1's current rules include V6 turbo-hybrid engines that boast impressive efficiency and electrical power, but have been criticised for the noise compared to previous-generation V8s and V10s. Ahead of this weekend's 1,000th F1 race, several of its leading figures have discussed the history of the world championship and assessed its future for AUTO, the magazine produced by the FIA. Prost said: "We are in a period where we have a lot of technology, a lot of data. "That technology is fantastic, and for the major engine manufacturers, it's very good, as there is more and more a link between society and competition. "Having that, if we talk about the future direction of the sport, then in my opinion, we should go towards a Formula 1 where there is more ingenuity, where we have more surprises, more strategic possibilities. "We need to make the sport more human - drivers, engineers. We need to accent the human side, and maybe focus a little bit less on technology. "Of course we need to have that extreme engineering but I think we need to have more of a balance. "Then I think Formula 1 will be a little bit more understandable for people outside of the sport." Legendary engineer Maurio Forghieri, who designed multiple title-winning Ferraris during the 1960s and 1970s, also expressed a desire for F1 to move away from certain elements of modern technology. The Italian, now in his 80s, said he still watches F1 today. "The move towards hybrid power is correct, but I'd like more real overtaking," he said. "The only way to achieve that is to get rid of DRS, which I detest, reduce aerodynamic downforce and put all the innovation into an area that falls within the wheelbase. "That way there would be less turbulence and fewer obstacles during the overtaking phase. "Then I'd remove a lot of the rules regarding engines, allowing for more imagination. "A case of live and let live - 'flower power', more than hybrid power, perhaps." Prost said it was "impossible" to choose a favourite or most significant race from his career, which comprised 51 victories from 199 starts. 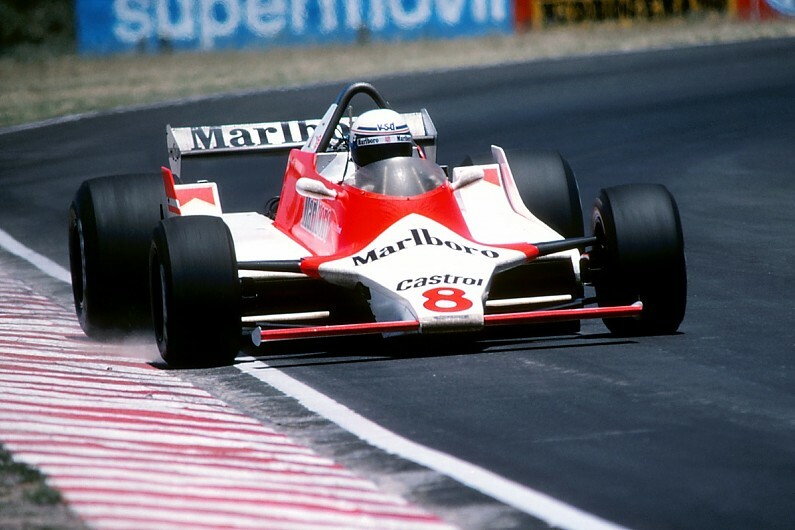 Instead, he reflected on his first F1 race, where he finished sixth in the 1980 Argentine Grand Prix for McLaren, and the drivers, cars and conditions that made F1 so different to now. "We had unbelievable drivers: Clay Reggazoni, Emerson Fittipaldi, Carlos Reutemann, Alan Jones, Gilles Villeneuve, Jody Scheckter," said Prost. "You can't believe what these guys were like, with their charisma, their personality. "And the cars! The cars were unbelievable. We had small teams, an aluminium chassis, and unfortunately, a lot of accidents. "Today it is maybe a bit different. [The drivers] start much younger, the cars are really different, and the risk is a lot less. "When I met with Alan Jones or Carlos Reutemann at my first race we almost had a big hug, and you could see in their eyes that they were saying 'we are still here; we escaped'."